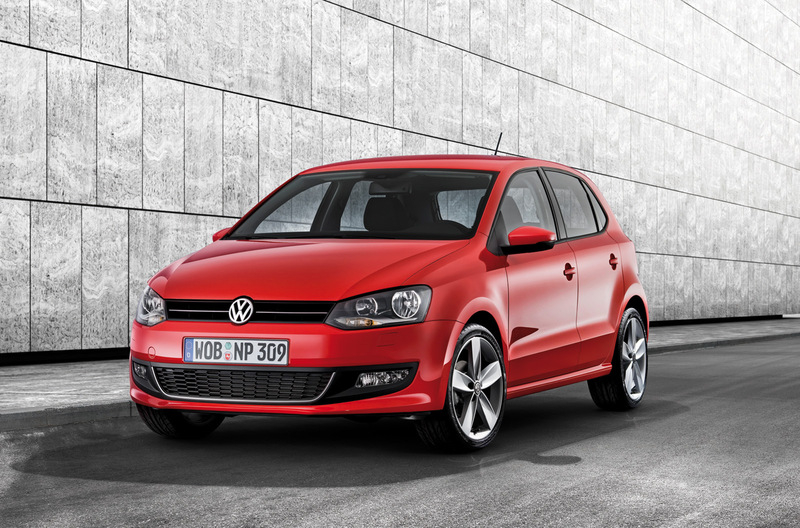 Volkswagen’s new Polo has just been awarded the 2010 European Car of the Year award. The VW supermini edged out the Toyota iQ by a narrow margin but it was then daylight to the rest of the seven car field. The full run down of points is as follows; Volkswagen Polo (347 points), Toyota iQ (337), Opel/Vauxhall Astra (221), Skoda Yeti (158), Mercedes-Benz E-Class (154), Peugeot 3008 (144) and the Citröen C3 Picasso (113). The newest baby-Golf is due on Australian shores in the first half of next year. This news is sure to help the locals market the car down under. But, the news is so fresh that VW’s press team haven’t even had time to beat their chest. Nor has it made it to the Euro COTY website. I’ll be sure to update this article with Volkswagen’s press release once it comes to hand. The European COTY sits nicely alongside the Golf’s current crown of Word COTY, which was awarded back in April. UPDATE 1 December: Press release from Volkswagen AG added below and the European Car of the Year website now leads with the news of the Polo’s success. Wolfsburg/Madrid, 30 November 2009 – The new Polo is Car of the Year 2010: Today the Car of the Year jury chose the Volkswagen as number 1; this is the crowning achievement of an extraordinary year for the new Polo. “The new Polo stands for German engineering craftsmanship and superior cutting edge technology. The fifth generation Polo was designed to address customer expectations with even greater uncompromising standards. That is why we are naturally very pleased to see our efforts validated in the form of this award,” says Professor Martin Winterkorn, Chairman of the Board of Management, Volkswagen Group. Selection as Car of the Year is one of the oldest and most esteemed awards in Europe. The best of all new car introductions have been awarded annually since 1964. The last time a Volkswagen won was in 1992: Back then the new third generation Golf emerged victoriously over the Opel Astra and Citroën ZX. In today’s competition, 59 jurors from 23 European countries cast their votes. The new Polo won with 347 points, outpacing the Toyota IQ. The Polo’s selection as Car of the Year 2010 is the crowning achievement of an extraordinary year for the new Polo after already being named Best Car 2009 by “auto motor sport” magazine and winning the Grüne (“Green”) and the Goldene Lenkrad (“Golden Steering Wheel”) awards by publisher Springer Verlag − as well as the Auto Trophy by “Autozeitung” just a few days ago. Not only was the award jury impressed by the new Polo. Since its market launch in May of this year, Volkswagen has received over 130,000 orders for the new benchmark car of the compact class. The Polo is available as a dynamic 3-door and comfortable 5-door in Germany. As the Polo BlueMotion, just 3.3 litre fuel consumption makes it the most fuel-efficient and environmentally friendly five-seater in the world.